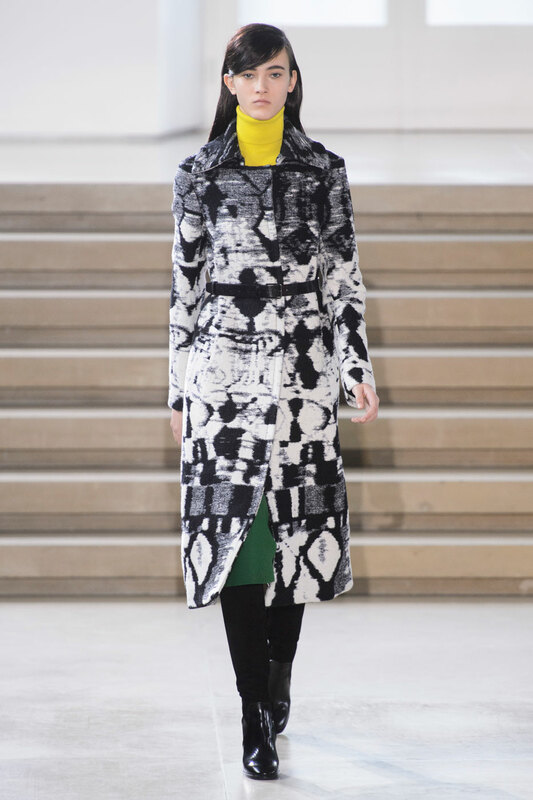 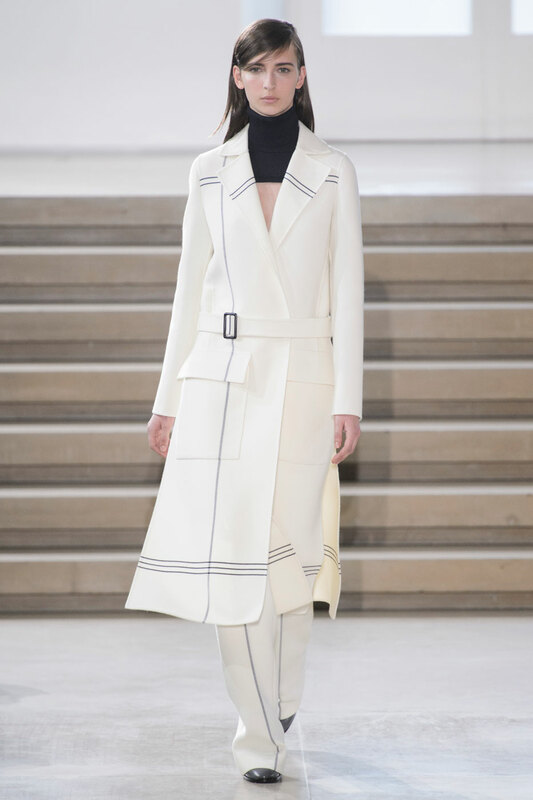 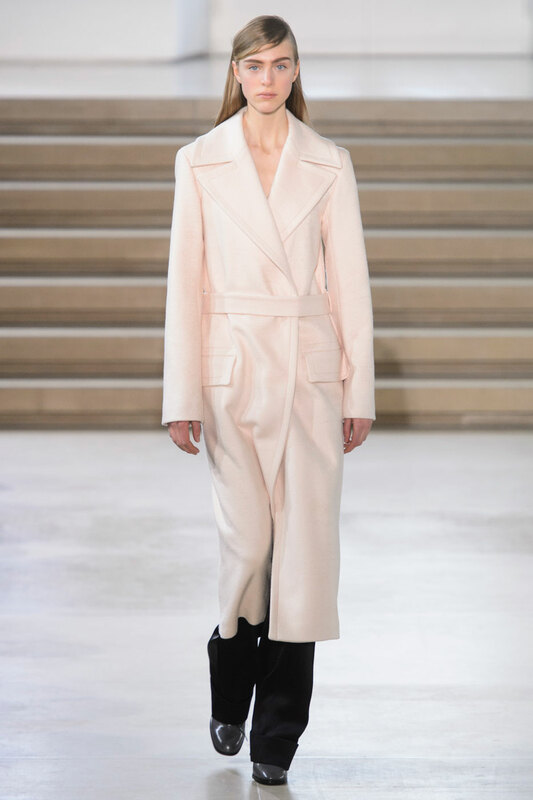 Jil Sander Women Autumn-Winter 2015 - Rodolfo’s collection of “carpet coats and furnishing fabrics” was unique and elegantly chic. 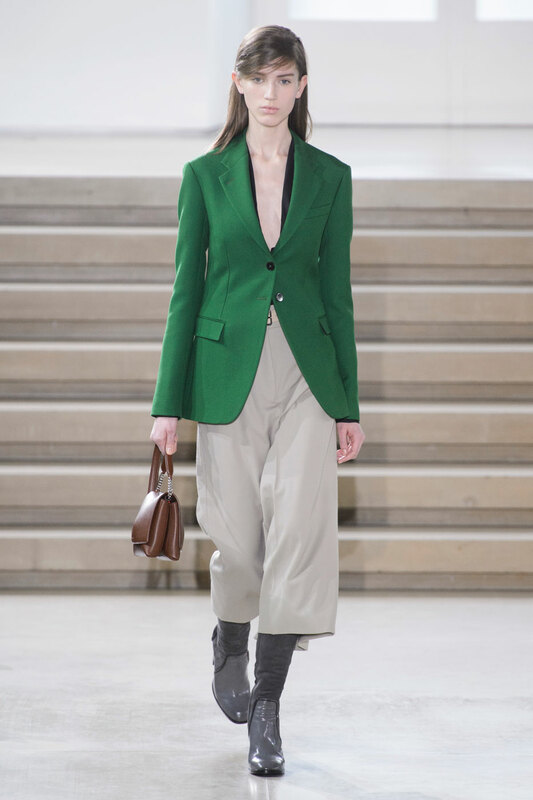 Clean cuts and the classic Sander colours made an appearance in lavish tailoring and Rodolfo’s prints expressed the collections originality and contemporary vision for this season. 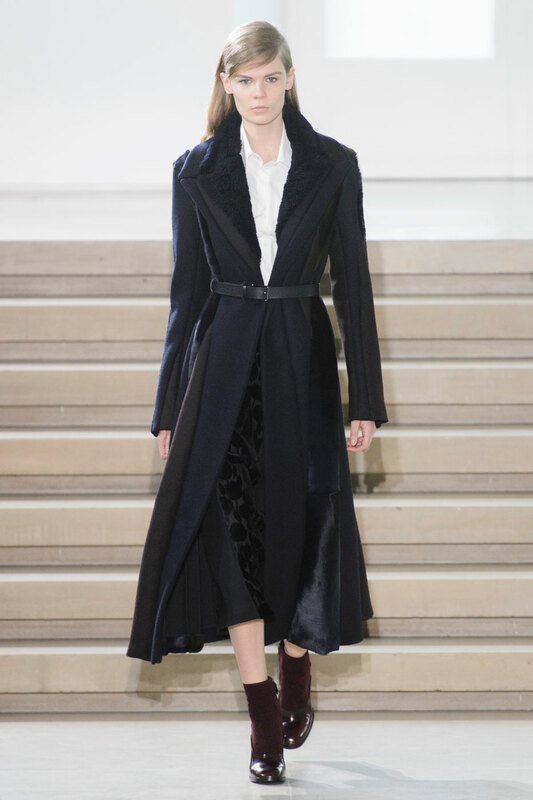 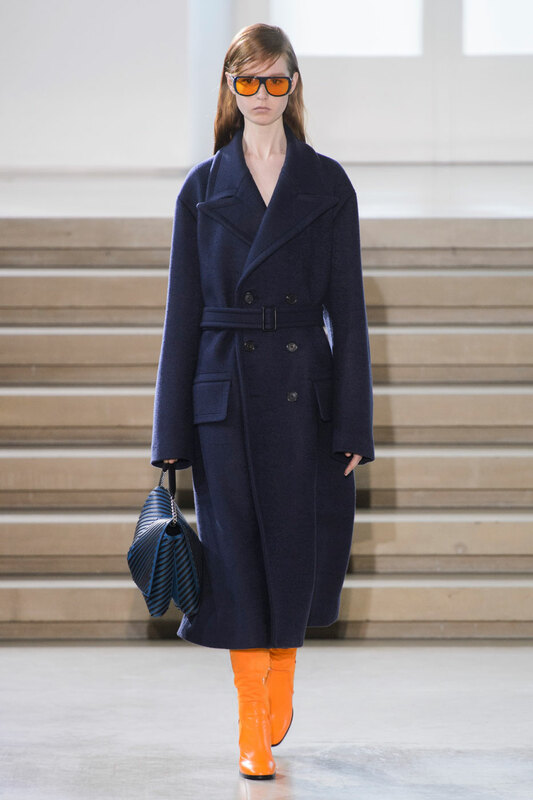 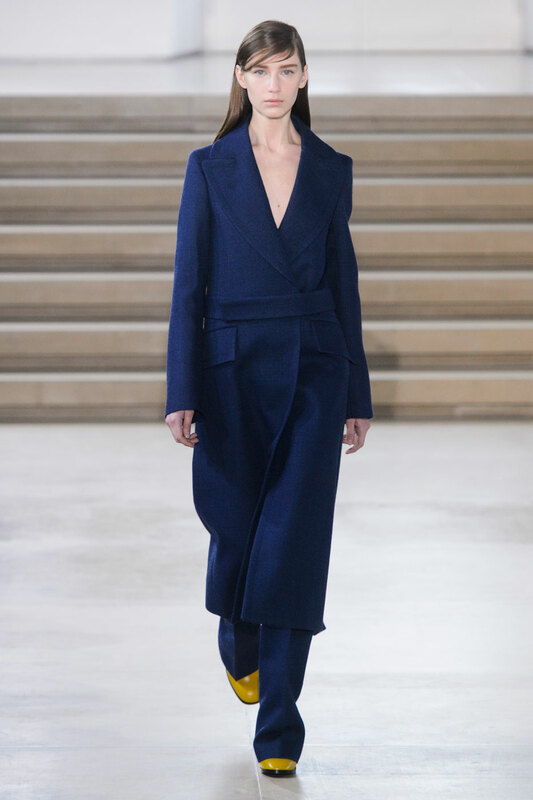 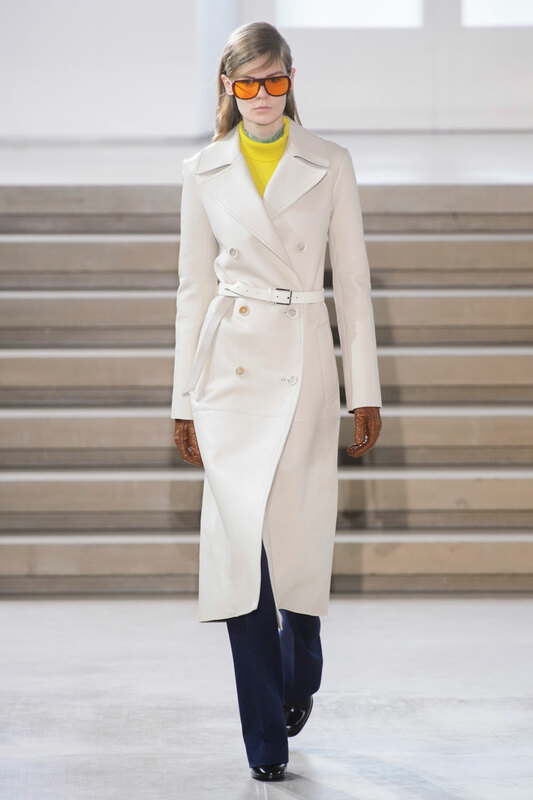 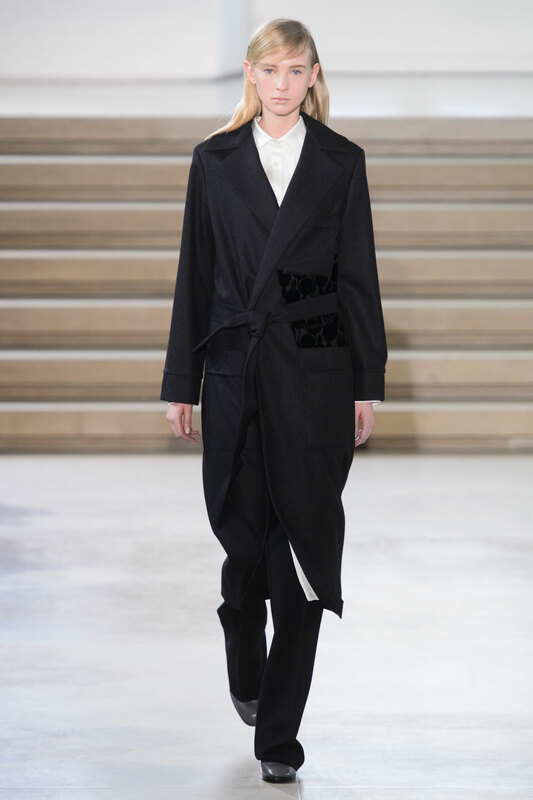 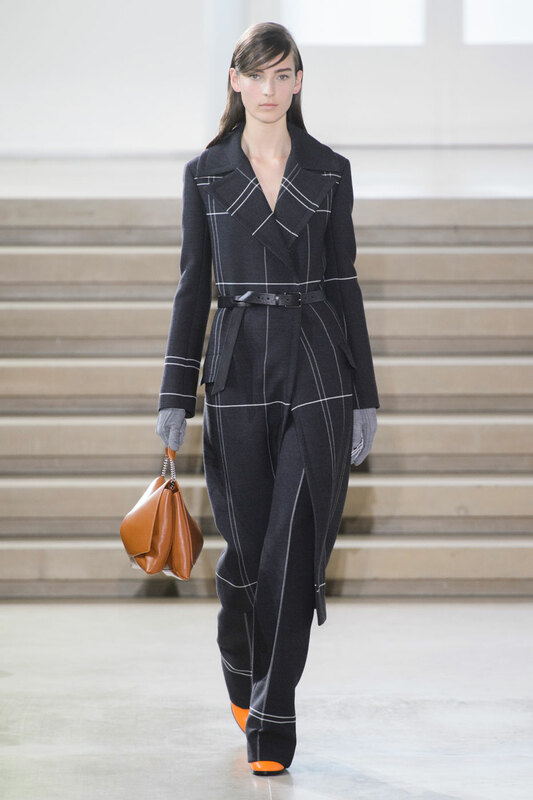 The coats are belted, with a more elegant flow that were styled against cropped trousers with constructive clean lines. 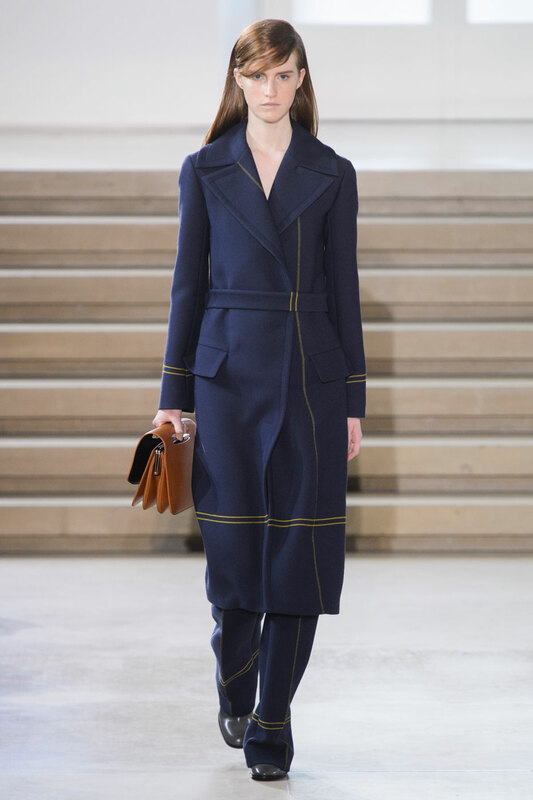 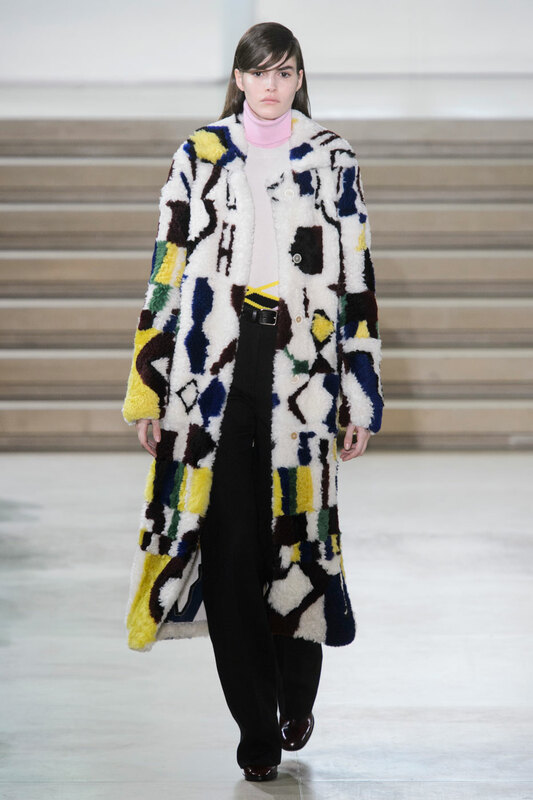 The coats therefore added femininity to originally masculine pieces. 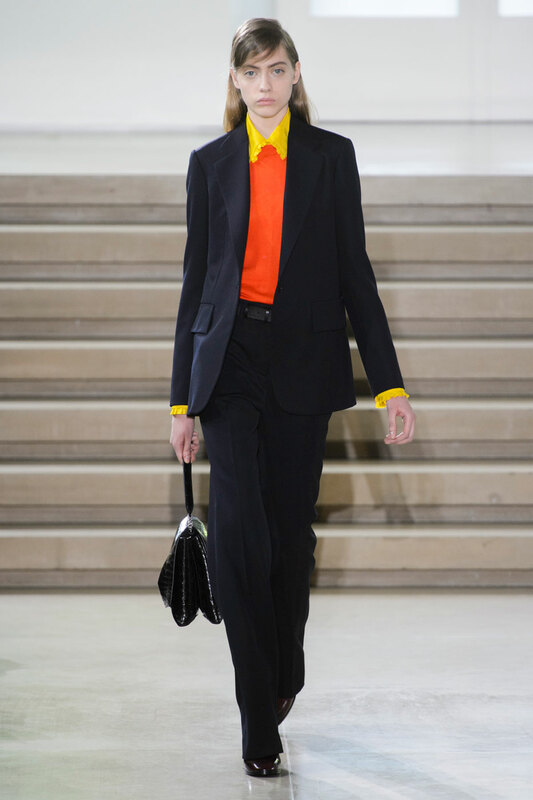 Bursts of colour and diagonal line prints added a contemporary edge to the collection – bursts of orange and yellow paired with black and more subtle tones. 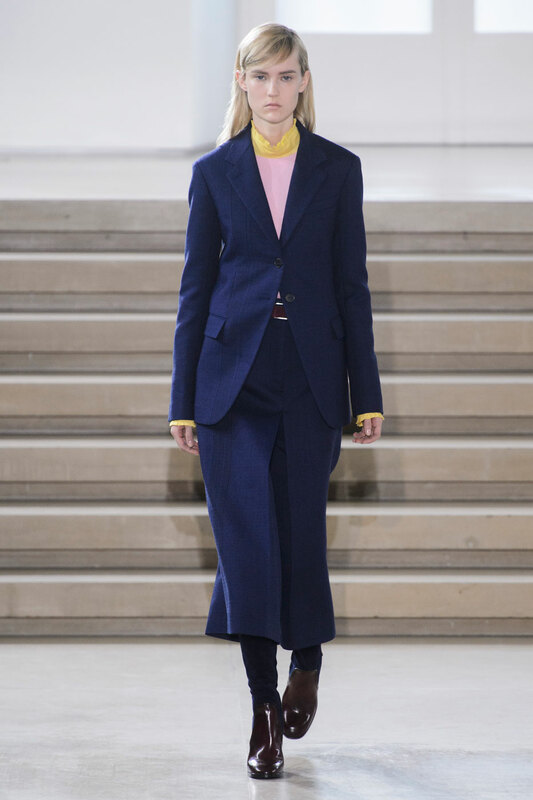 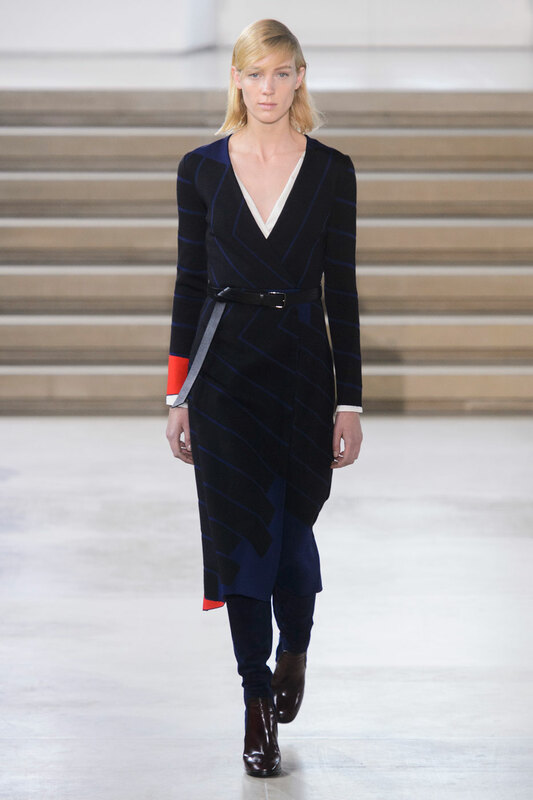 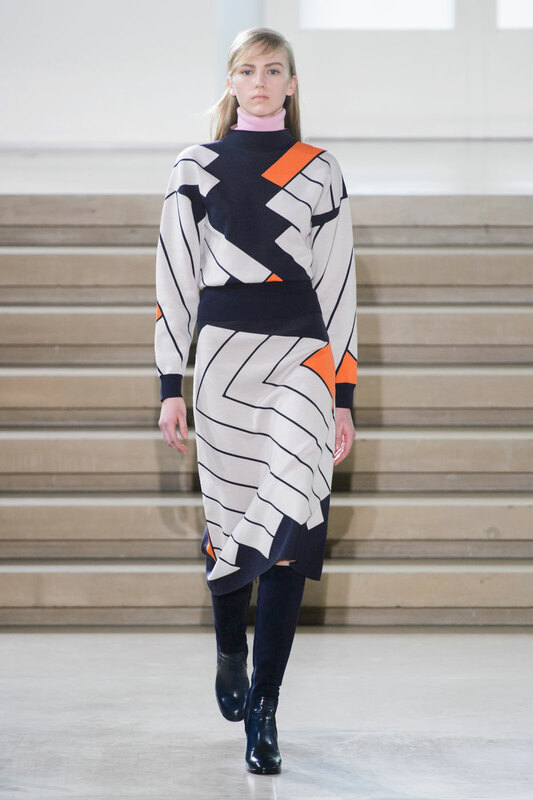 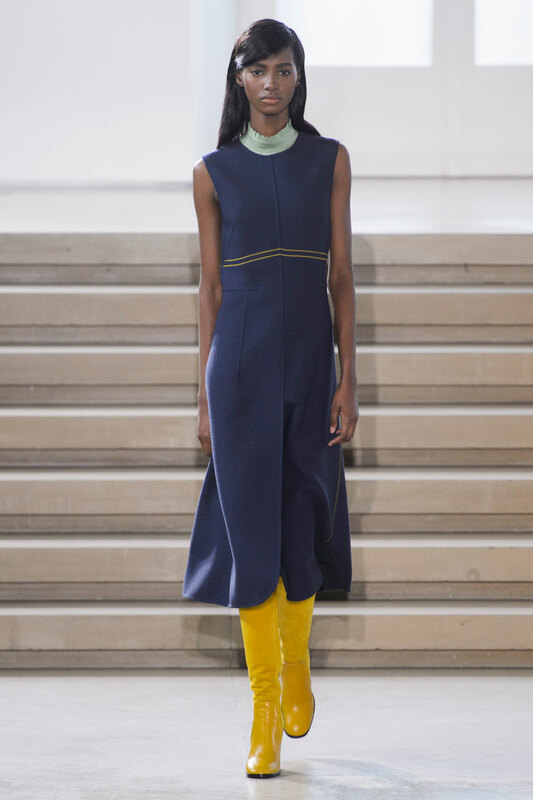 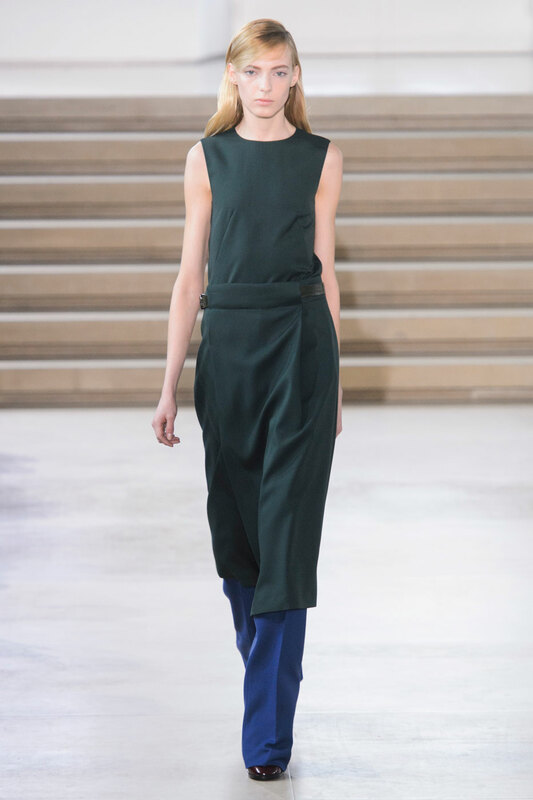 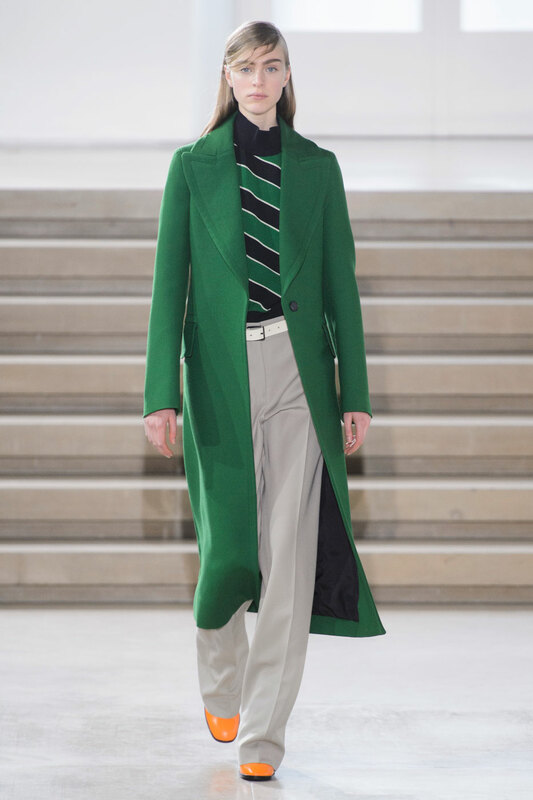 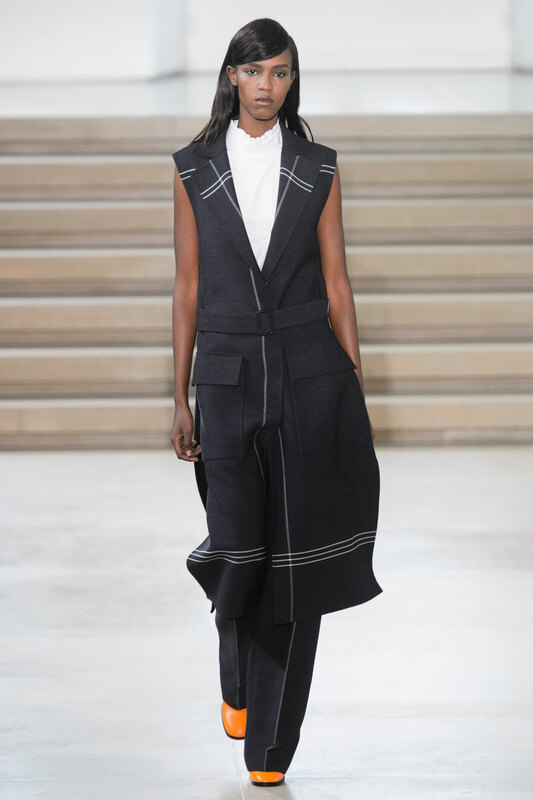 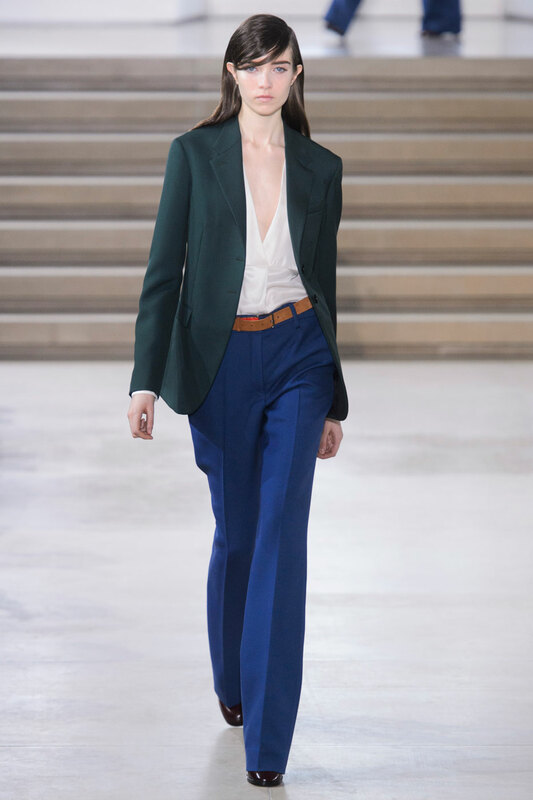 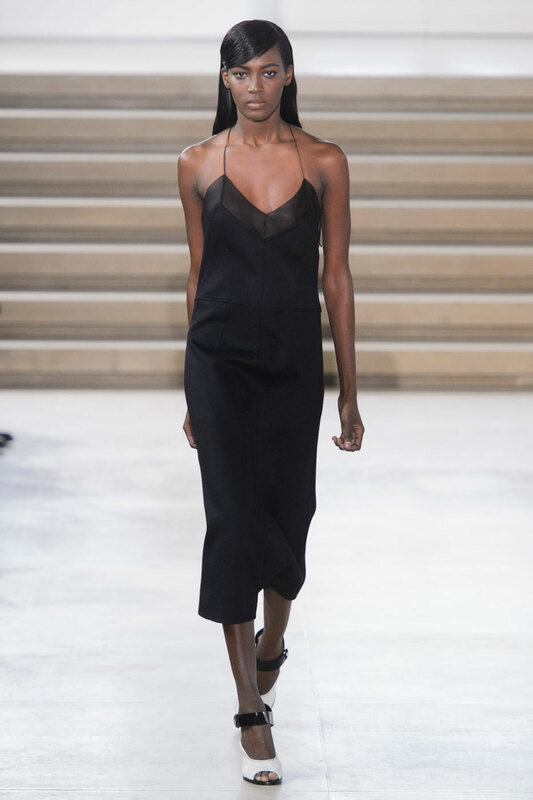 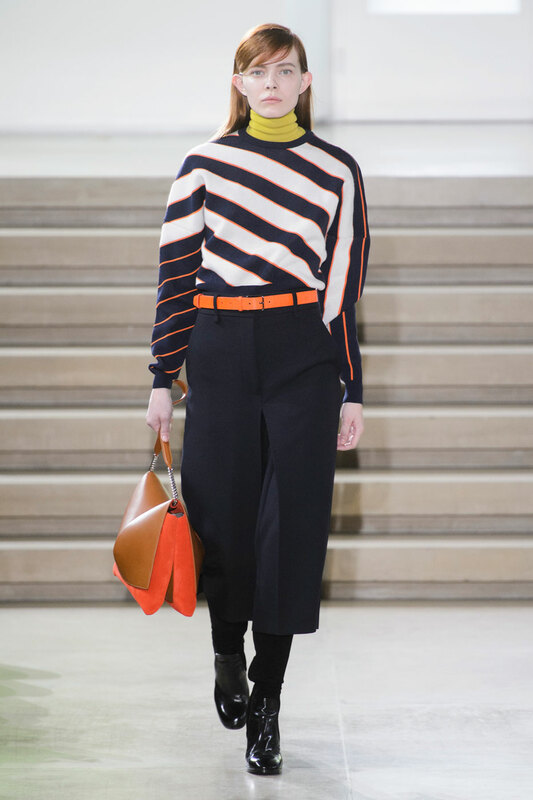 Every look had a block of colour, highlighting the beauty of the tailoring, whilst giving noisier pieces a sharper edge. 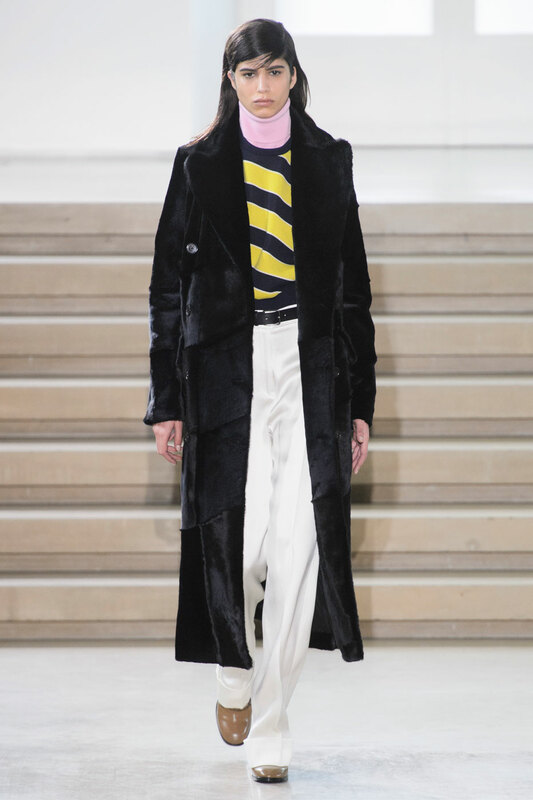 The patent boots and bold accessories give the collection a futuristic feel, illustrating Rodolfo’s growing creativity as a designer.